This collection assembles sixteen of Maria Mitsora's short stories in what adds up to be a retrospective of the author's work, spanning forty years. Moving across the urban netherworld of Athens to imagined Latin American towns and science-fiction dystopias, Mitsora animates the alternatingly dark and revelatory aspects of the human psyche, depicting a world in which her protagonists are caught between reality and myth, predestination and chance, rationality and twisted dreams. 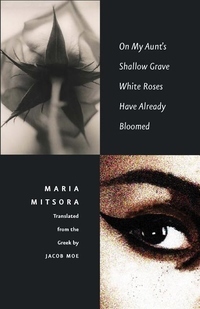 Mitsora led a generation of writers whose work articulated major transitions in the Greek literary scene, from 1970s historical and political sensibilities shaped in response to the military Junta to a contemporary focus on a fragmented, multicultural world. Her consistent experimentation with the short story form--a dominant genre in Greek prose writing since the nineteenth century--ranges from psychologically dark, surrealist work to more recent reflective and poetic writings.